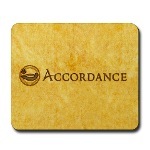 Accordance Seminar – Any questions? Accordance will be giving a seminar at my institution in a few days, so I will be spending the day with them on the computer. I have a few particular questions regarding the availability of modules as compared to other competing software programs, the graphic interface, and customization. Are there other questions I should be asking? I hope to report any insights gleaned from the seminar next week.